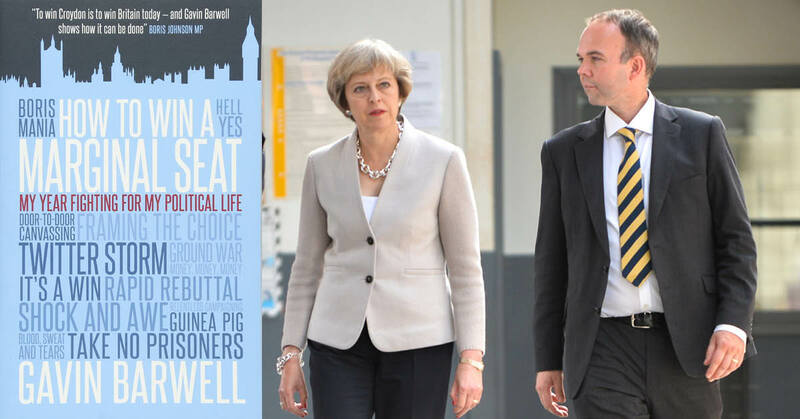 Gavin Barwell with new boss Theresa May. Left, the book. Gavin Barwell is many things, including a passable double of Karl Pilkington, but a talented writer is not one of them. His book, How to Win a Marginal Seat, will make you shudder in discomfort at the hackneyed metaphors and cliched phrases that Barwell pulls out at every possible opportunity – reading this book is an excruciating experience. Barwell’s authorial voice is reminiscent of the one Steve Coogan adopts for Alan Partridge in the spoof autobiography I, Partridge – but instead of being entertainingly awkward, it’s just awkward. It would have been pretty interesting to know why Ashcroft had flown Barwell to Greece, at a time when Ashcroft was beginning his private polling project so as to be better able to direct money to target marginal seats for the Tories. Alas, he overlooks this trifling detail and we may never know – what we do know, however, is that Barwell once got driven onto the apron of a provincial airport, and it made him feel cool. Great. Hazarding a guess, it is probably because if these passages were to be removed, we’d be left with a book mostly made up by Barwell naming people, describing what their job on his campaign was and thanking them. To the point of absurdity, Barwell thanks anyone or anything that is even tangentially related to his campaigns – including, at one point, three pubs in Croydon where he and his team took breaks from canvassing. The fact that Barwell is now the prime minister’s top adviser, and arguably one of the most powerful political figures in Britain, is astounding to me. He writes in the voice of a washed up non-league football manager. Gavin Barwell is the Mondeo man. We have discovered the authentic voice of middle England. My God, is it ever hard to read. Given this book was published at a time when he was still a sitting MP, we can take this book to be representative of Barwell’s electoral strategy and the kind of advice he might be giving Theresa May right at this moment. What Barwell seeks to do is to present himself as a ‘local’ candidate, with a ‘personal touch’. One of Barwell’s strategies was to get one of his supporters to write a note praising him and to print this in a handwriting font and deliver it around Croydon Central – believing that people were more likely to trust a personal recommendation from a neighbour than the messaging of election leaflets. 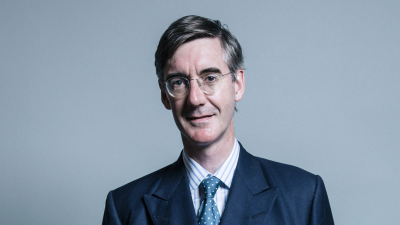 Now, this may or may not be true – but if the Conservatives are planning to fight the next election with the ‘Lucida Handwriting strategy’ they are fighting a losing battle. Are you thinking what Gavin’s thinking? Barwell is also in awe of Lynton Crosby, who he worked with on Michael Howard’s infamous ‘Are you thinking what we’re thinking?’ dog-whistle election campaign in 2005. Barwell held the post of director of operations. Unfortunately for Barwell, it looks like it will take more than tinnies to turn the Tories’ fortunes around this time. You might think I’m being harsh, but it’s not even that Gavin Barwell lost by a little. He went from a majority of 2,969 in 2010 to one of just 165 in 2015, to then be defeated by 5,652 votes in 2017. It is fair to say that these are not the stats of an election guru. A better title for this book actually might be How to Turn a Marginal Seat into a Labour Seat. The one-time MP also treats his reader to a fairly long explanation of why he spent so much time taking his constituents on guided tours around the Palace of Westminster. Basically, he was of the belief that the more people knew him personally the more likely they are to vote for him. Or not, as it turned out. All this glad-handing and pop-up campaigning must be why Barwell had no time to act on a safety review of buildings such as Grenfell following a fire in a similar high rise block of flats, Lakanal House, in 2009. 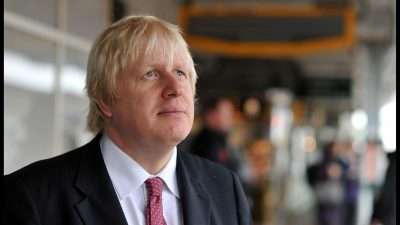 The government said it would publish a review of the fire procedures for such buildings in 2013, and this fell under Barwell’s brief as housing minister. These recommendations are yet to be published – and Barwell is yet to explain why.